Keeping electricity spending in check while keeping warm during the winter months can be a huge challenge for many households, however by making smart heating decisions when using portable electric heaters it is possible to drive down costs. 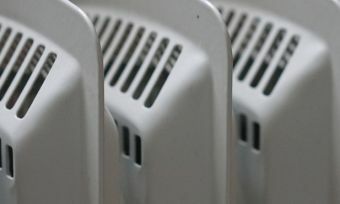 Heating can make up a significant component of household electricity spending, and electricity is by far the most common heating source used by households around the country, with there being clear incentive for cutting down or limiting usage. As shown by the 2013 Census, electricity was used for heating in 79.2 per cent of occupied private dwellings, with electricity use having steadily grown over the previous two censuses (up from 72 per cent in 2001). Meanwhile, the Electricity Authority has previously found that space heating makes up 14 per cent of typical household electricity usage, while noting that, amid daily and seasonal patterns of demand, “electricity consumption is usually highest on cold winter evenings when people want to heat their houses”. So, with winter having arrived, what are some of the ways for households using portable electric heating appliances to limit electricity spending? How much heating do you need? As a starting point, it is worthwhile considering how much heating is needed for your household, and, in determining the level required, how to maintain a balance between potential overheating and under-heating. Obviously, the heating required will vary from household to household, and will be determined by a variety of factors, including both budget and personal preference. It may well be that some households have a preference or need for a higher temperature, in which case greater electricity spending can be expected to be incurred, however there are also ways to potentially limit this spend, even before flicking a switch. What can be done to keep homes warm? As noted via Energywise, before residents consider household heating they should look at their insulation options. Installing insulation for ceilings, walls and floors can provide benefits for households during both the winter and summer seasons, contributing to keeping power bills down. Energywise additionally notes that providing insulation for windows can help prevent heat from escaping, with a number of options available for households, including double-glazing, while curtains and blinds can also help to reduce heat loss. Heat can also escape via doors, with draught door stoppers, which can be quick and simple to install, a potentially inexpensive and convenient solution. Similarly, if there are other areas of a house from which heat can potentially escape, before flicking the switch on a heating appliance, it is worthwhile investigating the range of options on offer. If there is an area of a house where heat is escaping, it will take more power generation, which will consequently lead to a greater cost, to maintain an optimal temperature, and it is well worth addressing such issues first and foremost. There are a range of portable electric heaters available at various prices, from budget through to premium options, and the right heater for different rooms will depend on both the layout of the room and how the heater will be used. For instance, some heaters will be more suitable for larger spaces, and for longer periods of use, while others will be better suited for heating a smaller space over shorter periods. Energywise provides a guide as to the wattage required to heat different size rooms (with the higher a heater’s wattage the more heat produced). Available in a range of styles and sizes, fan heaters present one of the cheaper heating options when it comes to upfront cost. As the name suggests, fan heaters operate by fanning heated air into a room. Radiant heaters (available in a range of sizes and configurations, such as two-bar and three-bar) do not circulate heated air like fan heaters, instead providing direct heat within the heater’s immediate vicinity. Like fan heaters, radiant heaters can be found at budget prices. Convector heaters operate by drawing air in, which is then warmed and emitted (with some models also including a fan). Convector heaters are generally more expensive than radiant and fan heaters. Oil column heaters can provide radiant heat and heated air, with oil within the heater heated and circulated through it columns. Like convector heaters, oil column heaters are generally more expensive than radiant and fan heaters. Panel heaters, which can be found at a range of price points, provide convection heating. Energy wise notes that, while often being promoted as cheap to run, panel heaters produce very little heat, and may be suitable for heating small rooms continuously. Once an appropriate heater has been purchased, it will need to be used in an efficient way to provide the required heat and to deliver potential electricity cost savings. For instance, fan heaters may be a good option for consumers on a budget, with many lower-cost options providing for simple plug-in and heat usage, however consumers should also keep in mind factors such as heat output. Smaller models may be suitable for smaller rooms or as a personal heating option, providing for immediate warmth, but will struggle to maintain heat in a larger space, leading to potentially higher electricity costs. As noted via Energywise, radiant heaters are good for instant heat and for large rooms where only one area of the room needs to be heated, while convection and oil column heaters may be suitable for overnight heating of bedrooms. Energywise notes the benefits of heaters with thermostats in helping to maintain an even temperature and conserving electricity (with separate, plug-in thermostats also available), along with the benefits of heaters with timers, allowing for heaters to be programmed to turn on and off at certain times. Consumers should consider upfront cost versus long-term efficiency when selecting a new heater. Choosing the right heater for the right room and space will lead to electricity savings, and for consumers in doubt as to their best option it is worthwhile talking to heating specialists. What are the best electric heaters in NZ?